The university’s pool sits unusable on the second floor of the Johnson Fieldhouse. The pool has been in use for quite some time, but at the moment it is closed for maintenance. The pool maintenance has been affecting many people, especially the University of Wisconsin–Stout Swim Club, which regularly practiced there. 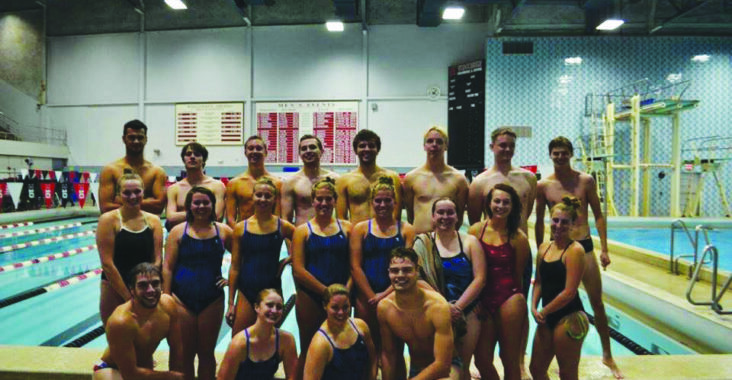 “We are currently sharing practice times with the Menomonie Area Aquatics Club (MAAC) at the high school fieldhouse to cut down on the cost of renting that pool,” said Swim Club treasurer Rebecca Nara. The pool at the Menomonie High School is much bigger than UW–Stout’s pool, which is better for practice, but ultimately four times more expensive. “Luckily for cost, we were able to reallocate our funds for renting the UW–Stout pool to renting the high school pool. It costs $45/hr plus lifeguard salaries,” Nara said. While the pool is bigger, the larger price tag means that the Swim Club cannot afford as many practice sessions. “Since the cost is about four times what we were paying to rent the Stout pool, we had to cut down on the number of practices we have per week. Right now, we have a deal with MAAC to split the cost while we share the pool, but we are hoping to add a solo practice time on Wednesday,” said Nara. The lack of practice has affected the Swim Club, and has impacted their competition schedule. Duey Naatz said there is no timeline for when the pool will be up and running again.